MONTREAL, July 9, 2018 – Effigis Geo-Solutions (Effigis), a Canadian company specializing in geospatial solutions, announced it expanded its pole inspection and survey services with the addition of a structural engineering service. This completes Effigis’ offering of structural design for aerial telecommunications and energy distribution networks. A Structural Engineering department was implemented after, among others, Effigis won a call for tenders in autumn 2017, followed by others, with approximately $300,000 of sales since inception. 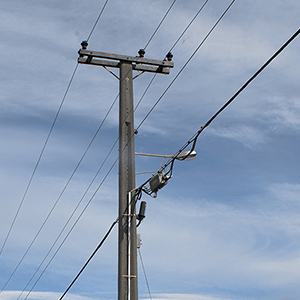 Through its Geospatial Data Collection and Management division, Effigis helps major telecommunications and energy companies ensuring the quality, safety and sustainability of their pole infrastructure despite climate events of increasing strength.